Ichigo is one of the main characters, and a student of Starlight Academy. She is cheerful and has a cute personality; her choice in her cards reflects this. 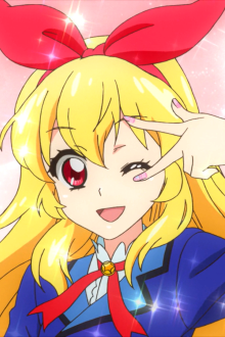 Her favorite brand of cards is Angely Sugar. Ichigo was a middle school freshman. After seeing Mizuki's performance, she's inspired and enrolls into Starlight Academy, which is the beginning of her idol career. She's a complete novice, yet she is optimistic and works hard to become the top idol. She does not have much knowledge of the entertainment world, so she always has her best friend, Aoi Kiriya teach her.